The official name - the McCoy Contractors 2019 Construction News Awards Finalist Hampton Novices' Chase, is a Listed contest over three miles. As many as eleven remain involved before the final declaration stage, including both Rocky's Treasure and Ok Corral, who have both been on such terrific campaigns of late. Rocky's Treasure looks another leading light for Kim Bailey who also has the promising novice Vinndication. This 8yo gelding has only been defeated once over fences, and that was to the hands of arguably the best around in the division - Santini. Four wins from five, with victories at Kelso, Fakenham, Wetherby and Doncaster latest, in a Grade Two. Ok Corral however has just had the one run over fences, but his novice hurdles campaign was one to saviour, when he was unfortunate to only be beaten by one rival in last season's Albert Bartlett. His chasing bow resulted in a win at short odds around Plumpton, and more will be expected here. Steely Addition landed a Class 3 in torrid conditions at Chepstow on Tingle Creek day, proving he can handle any surface, but others may have better profiles on a quicker surface. Elsewhere lies the Paul Nicholls-trained Secret Investor, who won here seven months ago in a Novice hurdle, before landing a Grade 2 at Chepstow himself. He has had just the one start over fences, where he finished nine lengths down to the improving Bags Groove, but that would of been an excellent learning curve for the 7yo gelding. White Moon fell on his first start over the larger obstacles when going well at Cheltenham, and suffered a knock in confidence as a result finishing fifth at Exeter to Defi Du Seuil. However, that looks a solid piece of form, and got back on the winning trail at the same venue on New Years Day. Le Breuil has proved Mr Consistent for Ben Pauling this term, finishing in the top three in all of his four chasing outings, whilst Dan Skelton's Molly The Dolly's winning run came to an end when being denied a hat-trick at Newbury a week before Christmas. Pauling also has Way Back Then, who has only raced three times since February 2016, and looks very much the outsider at the age of eight. Ibis Du Rheu, Crucial Role and King Of Realms complete the field. 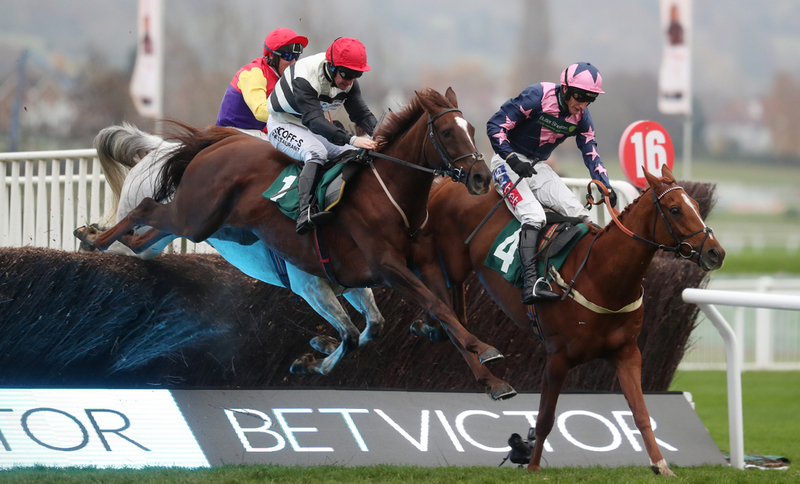 This race can provide the perfect springboard for those hoping to bounce forward up the division, perhaps for the RSA at the Cheltenham Festival, or even onto bigger and further things in the National Hunt Chase over four miles. All eleven of the past eleven winners had won over fences before - an obvious trend. Again all eleven had finished in the top four in their last race; ten of those racing in the last seven weeks. Nine of the last eleven winners had finished first or second last time out. Only two of the last eleven renewals was won by the favourite, with another seven going onto place. All eleven winners since 2008 have returned 5/1 or shorter in the betting, with seven returning at 9/4 or shorter. Eight of the last eleven were aged seven years old, six of those Irish bred. Seven of the last eleven winners had won over three miles before. Alan King and Paul Nicholls have both had two winners since 2008, whilst jockey Daryl Jacob has rode two himself.